A Brief History of the Evolution of India & its Westernisation since the arrival of Traders from the West. languages and the ever growing influence of English as a language and Western ways of life. The evolution of culture in India is a very interesting subject and as culture grows on us subconsciously, little attention is paid to how the subjects evolve, since humans are generally very poor observers of themselves. As a new culture influences a strong host, there is resistance, acceptance, assimilation and even championing to the detriment of the host culture, but eventually what results is a hybrid culture with influences from both. Many anthropologists believe that core values do not change, but this does not apply to India entirely. As Joan Robinson said ‘Whatever you may say about India, the opposite is also true’. The biggest mistake a Westerner could make while trying to understand India is to see it through dichotomous eyes. What was an ‘Indian’ before the British Raj and what is an Indian today? Are they similar in many or any respects? The Indian cultural identity has evolved so much that there are many aspects today which intersect and create a kaleidoscope that confuses many foreigners. In fact many Indians are themselves in a state of subconscious confusion with forces from the past conflicting and merging with the forces of the present. When the British went to India to trade in 1600, India was a land of Kings, elephants, tigers, the trademark ‘Snake charmer’ and extreme spirituality. This was an India that had not changed much over the centuries. Most of the inhabitants were steeped in the root culture of the land, be it that of Hinduism, Jainism and the later Islam or Sikhism. Western influences were very limited and confined only to the infinitesimal elite. India has had its fair share of social injustices and evils such as dowry and discrimination which were propagated and exploited by those who distorted practices for their own benefits. Most social systems begin with good intent but decline over time due to Dilution, Distortion and Degradation and also due to changing needs of the times. As in most cultures, things in India too began with good intent but deteriorated over time, the original purposes of certain practices, forgotten. A very simple example is the ancient Indian practice of scattering a small amount of water around the plate of food before you commence eating. The original purpose of this was very simple. 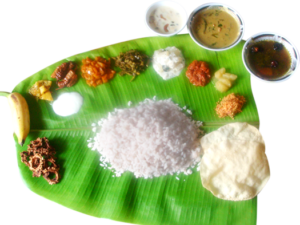 In the days gone by, people sat on the bare earth to eat and they ate on Banana or Patra leaves. Water was scattered around these organic biodegradable plates for two reasons – To let dust settle and to prevent insects from approaching the plates. Today you may find some Indians following the same practice on dining tables, whilst eating from plates with fine cutlery. The chart above depicts the change in India’s culture. In Hindu Cosmology, there is a cycle of creation and dissolution that spans 3.114 Trillion years, with several smaller cycles within. The smallest basic cycle is a Maha-Yuga which spans 4.32 million years and this consists of 4 Yugas (Periods) during which Dharma (Righteous conduct) deteriorates by 25% over each Yuga. The last Yuga is Kali Yuga or the age of darkness and it is believed that we are now in the Kali Yuga of the current cycle. 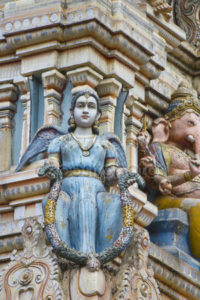 Hinduism factors culture change in as a fact of the changing nature of the cosmos. The Traders arrive…India’s English Education begins. The Portuguese arrive in 1505 in the West Coast of India and begin trade. The British arrive nearly a century later and then the Dutch and French. However, the British establish dominance and the East India company, in 1757, begins to rule India. A hundred years later, The Queen’s rule is established until India’s independence in 1947. 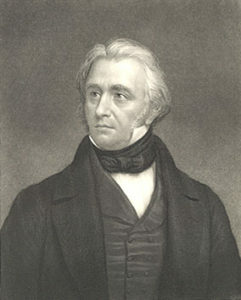 The East India company had set up offices in Calcutta with clerks from England to administer the affairs of the Company. But the company has grown so big that there is need for locals to be hired. The seeds for the Indian civil service are sown. Schools are colleges are set up in the English tradition and Indians begin to study Shakespeare and Shelley. An affinity towards Western education is forming in the minds of Indians. 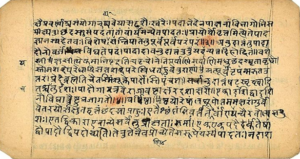 A page from the Rig Veda, the oldest book in the world. was spiritual in nature, stemming from the Vedas and Puranas, the ancient scriptures of India which were entirely in Sanskrit, a language not available to the masses. Commoners were rarely exposed to these archaic texts and in fact, they only become commonly known after Westerners like Max Muller and Sir Charles Wilkins translated them. Thus begins an era of more and more exposure to Western ideals and the technological and scientific achievements of the West cause Indians to gradually forget their ancient ways. There is a Sanskrit saying which translates into ‘As the King, thus the subject’. What this means is that subjects always follow the leaders and emulate them. Be it morals or values of behaviours or fashion, common people will emulate their leaders. And this is true today in the form of people emulating celebrities. 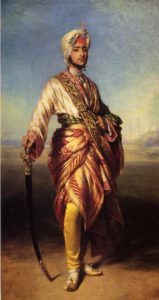 The exposure to the west was confined to the interactions of the British with the Rajas and Maharajas for purposes of trade and politics. But of course, the elite in India were getting more and more exposed to the West and this began to reflect in their lifestyles. There is no doubt that slowly, western influences were finding their way into the mass psyche in India, through the changing ways of the Kings and Leaders over the 18th and 19th centuries. Indians value achievement. The discipline of the British and the technology of the west in general began to have a gradual but profound impact on the mass psyche. But yes again, the major primary impacts were on the elite, a classic example being that of Jawaharlal Nehru, the first Prime Minister of Independent India. He belonged to an elite family and was Cambridge educated. So much so that he had to reinvent his Indian identity under the guidance of one Mohandas Gandhi. The cultural evolution had begun and Victorian morals were slowly permeating the ‘educated’ class. The stage is set for a gradual but exponential influence waiting to happen. 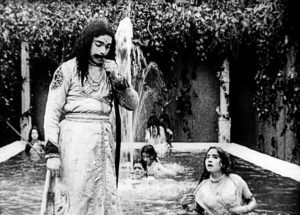 Cinema hits India rather early, in 1913 and the first movie to be produced and released in India was ‘Raja Harishchandra’, a story about a King who stood by the truth through terrible trials. The very first movie to be produced in the country was an ancient tale of truth from the depths of Indian culture -moral, social and a story of personal sacrifice for upholding ‘Dharma’ – righteous conduct. The producer of the movie, the father of Indian cinema, Dadasaheb Phalke, was progressive enough to understand the medium of cinema and yet, the first movie he produced was from the womb of Indian culture, reflecting the audience expectations of the day. I believe that the cinema of any nation to a large extent, is a barometer of it’s culture at the times it was produced in. Yes some are ahead of their times but when we say ahead of their times, we are subconsciously saying that we will get to those times eventually, which is itself a testament to cultural evolution. Now does cinema reflect culture or does it influence it? It goes both ways. People will emulate celebrities and ‘Hero worship and Heroes’ are central to any culture as anthropologists will tell you. The only difference is, today’s Heroes are creations of the media. So the first movie produced in India ‘Raja Harishchandra’ in 1913, was reflective of the times. Dadasaheb Phalke catered to what he perceived as the mass audience base. Anyone who has closely followed Indian cinema will notice the changing culture, the changing times, the changing values as reflected by cinema over the decades. What was shown in the 70s was anathema in the 50s. 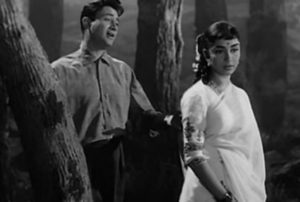 The 60s is known as the age of ‘romance’ in Indian cinema and the famous ‘running around the trees’ scenes were endemic. As to why Indians run around trees while romancing, well there is a cultural basis for this too. 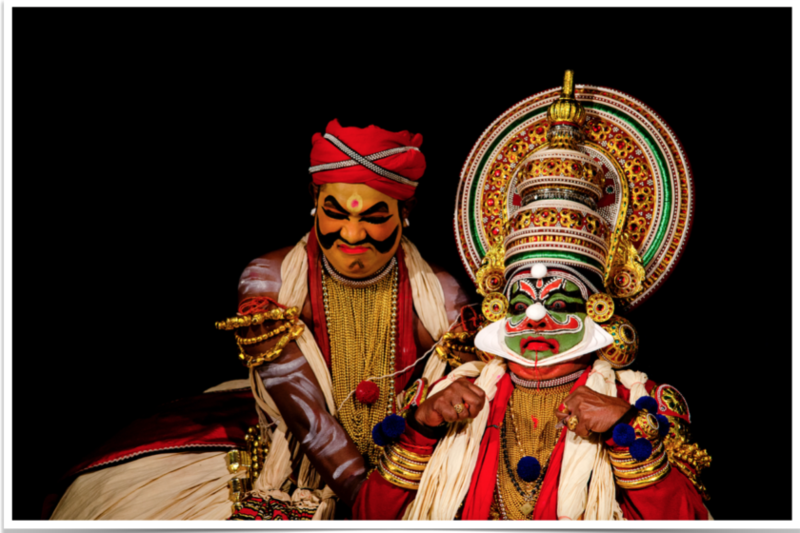 Romantic stories such as ‘Shakuntala’ by the great poet Kalidasa, had romantic scenes set in gardens and in nature. trees, and in ancient India, marriages could be sanctified in forests by regarding the trees(Gandharvas) as witnesses. This was called ‘Gandharva vivaha’ or ‘Gandharva Marriage’. Early directors were influenced heavily by traditional literature and this crept into their works. This age in Indian movies, the 60s reflected and influenced a major change in the thoughts of the youth. People were not afraid to fall in love openly. Old values were changing. Many movies of this era show this cultural conflict between east and west, between the old and the new. And gradually, the new keeps winning over the old. For Indians who watch Hindi movies, the following song from the 60s exemplifies the cultural conflict between India and the West. Essentially, the man is asking her to become westernised and she is in turn, asking him to come ‘Indian’. This was also compounded by the growth of the Indian middle class which was most susceptible to this change and most caught up in culture conflict. Hollywood’s influence on Indian Cinema and thus minds is enormous. The scenes in movies today, the dialogues and songs and dances would have been absolute taboo even 20 years ago. The change is exponential. The impact of cinema on the culture in India is a subject too large for this article. Suffice it to say that cinema in India has been injecting itself and the nation increasingly with western ideals. 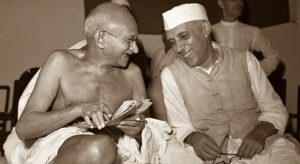 India gains Independence and there is a conflict between two of it’s best known leaders – Gandhi and his protege – Nehru, who assumes the role of India’s first prime minister. Gandhi represents the old India – deeply spiritual and humane. 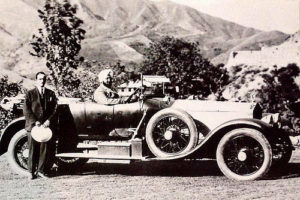 Nehru represents the new India – modern and scientific. A conflict of cultures at the highest level indeed. Gandhi wants India’s villages to be developed in a self sufficient manner and he shuns technology and scientific advancement. He also wants to include religious studies of all faiths in school. Nehru wants to set up Atomic research centres and bring in Western education systems and not have any religious studies in school. His theory of knowledge is based on Rationalism, Empiricism and Positivism. Fate plays it’s part, Gandhi is assassinated and the way is paved for Nehru to take India on to the path of Scientific Temper. While the emancipation of women and emphasis on education etc. are very positive and relevant aspects, conflicts with old values are causing culture conflicts within society and even great confusion among people. Old values such as respect for elders are on the decline. Whether this is a good thing or a bad thing is not for me to say, only time will tell. The fact is that culture in India is changing rapidly and cinema is a prime medium of influence. A mistake a foreigner can make is to assume that India is homogenous. It is multi dimensional to the extreme. Corporate India today is represented by people from a variety of cultural strata. From extreme liberated minds completely steeped in western culture and completely ignorant, even critical of Indian culture, to the other extreme and the whole range in between. Indians typically present a ‘Collective’ face to foreigners which is an involuntary mask – a result of the fascination have for all things foreign and an inferiority complex towards foreigners. But with each other Indians can have superiority complexes and the more the affinity to the west, the greater the complex. Thus Indians can have a relativistic inferiority complex – inferiority towards foreigners and superiority towards each other. Once the foreign body is removed, Indians will drop the collective face and fall back to their basic behaviours which are not collectivist in the western sense of the word. This involuntary mask can be misleading and often leads Westerners to believe that Indians are collectivist, when they are not, by definition. Anyone intending to do business with India would do well to familiarise themselves with what India really is and see beyond the ‘Involuntary Mask’. Next Post:Is India a Collectivist Nation?